Are you tired of the backlinks that doesn't worth sh*t? What if someone would make a complete SEO service with Web 2.0s, HQ articles, videos, social shares and high PR backlinks at affordable price? You are on the right place! Link pyramids are an effective link building strategy involving building backlinks. 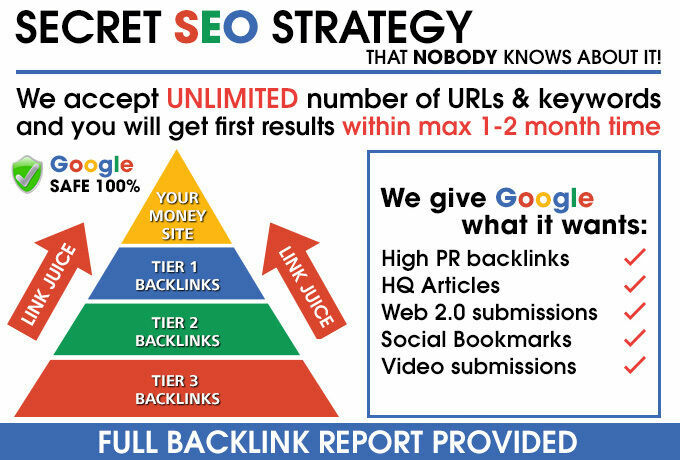 We will make a SUPERB 3-Tier Link Pyramid with backlink drip feed and no footprints. With our secret sauce added, YOUR WEBSITE WILL RANK FAST. We also accept UNLIMITED number of URLs and keywords. Backlinks will remain a vital Google ranking factor. But, effective link building is now about trust and popularity. 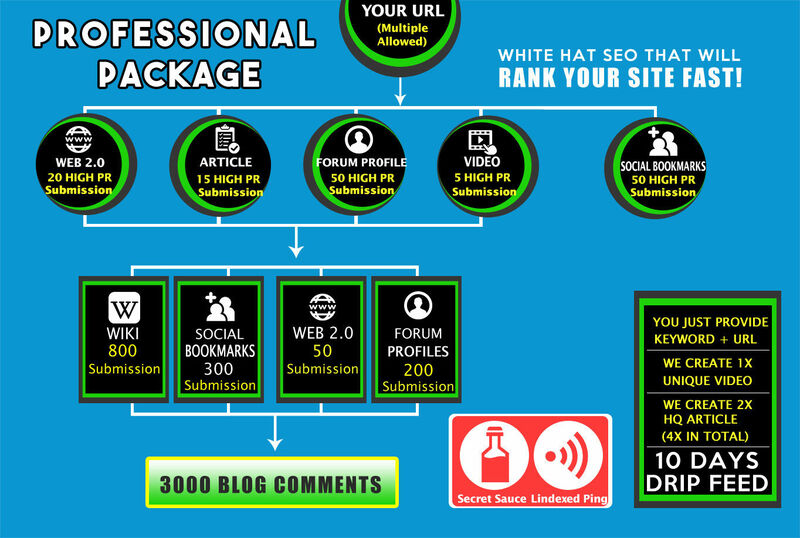 Only a high-quality backlink works in this model.